The Greenhouse Kids at Art in the Park - The Greenhouse Kids by Shelley Awad .. Happy to Be Me! Sold Out at Indigo! - Happy to Be Me! is sold out at the Indigo in Lakeshore. There are more on order but it will be at least a week before copies arrive. ..
Next Book Signing for Shelley Awad - Book Signing for Best-Selling Children's Author, Shelley Awad Meet best-selling children's author,..
New Release - Happy to Be Me! - New Release - Happy to Be Me! By Shelley Awad ..
Grow the Characters from The Greenhouse Kids Books - Grow the characters from The Greenhouse Kids books in your own greenhouse in this fun hidden object game! ..
Book Signing at Indigo Lakeshore Saturday, August 24, 2013 - Book signing by children's author, Shelley Awad. Awad will be signing copies of the award-winning chapter series,..
Book Signing at Chapters - Join children's author Shelley Awad for a book signing on Saturday August 10th, 2013 at Chapters,.. Season's Greetings from The Greenhouse Kids - Season's Greetings from the team at The Greenhouse Kids and Ecolad Corporation!.. 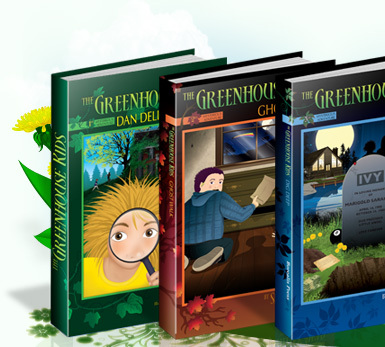 Readers Grow Into Leaders - The Greenhouse Kids by .. 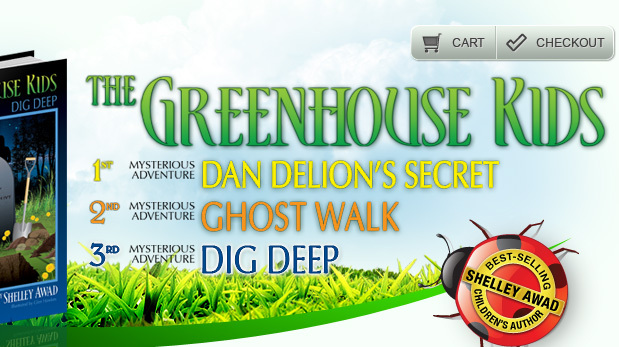 The Greenhouse Kids - Contest Winner & News! - The Greenhouse Kids Contest Winner is... Congratulations Abbey Winch,..